HOW TO INTENSIFY YOUR HEART RATE DURING STRENGTH WORKOUT? I am an avid ‘fitness freak’, whatever you call and name it, since I started it a few years ago. It is a journey to be healthy, more energetic, gaining greater strength and being leaner as its by-product. Along the journey, I made several achievements, and I also fell and tripped several times. Alhamdulillah, there are many things that I learnt along the journey, especially learning from the mistakes. 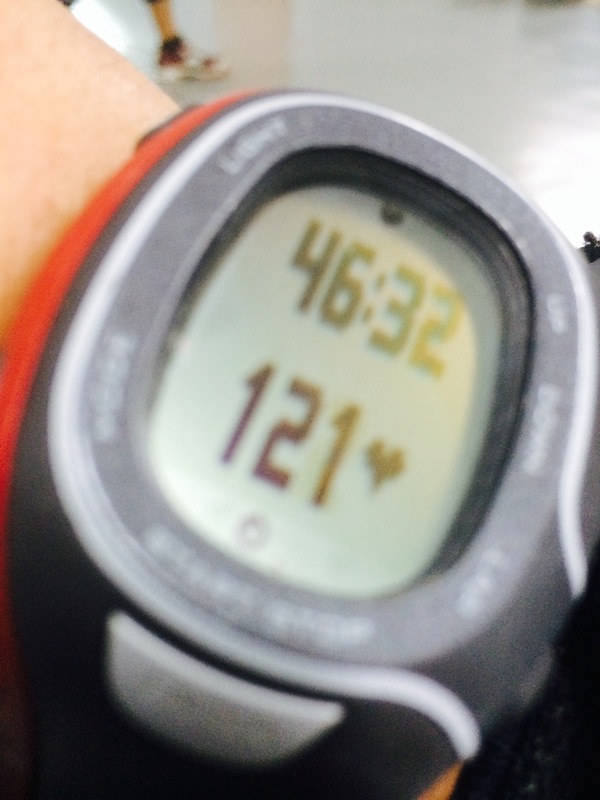 One thing that I learnt from my fitness advisor (when I enrolled as a member at Gold’s Gym London – we managed to meet our advisor every 6 weeks to discuss on what we plan to do to achieve our objectives), is about using the heart rate monitor (HRM) effectively during the strength workout. Usually, we always use HRM for cardio activities such as running, rowing, cross-training etc., but rarely people used for strength training. One of the important things that we should know, there are two objectives of strength training workout. 1. A workout to get bulky, and more muscular, especially for thin and skinny to be bulky, and 2. A workout to burn more fat i.e. cutting and gaining muscle too. The differences between the two is about the time taken for rest between the two sets. One set of any workout activity consists of 8-15 reps of the activity done. Usually, each activity is performed in three sets, and the number of reps also depends on the objective/types of workout. Usually, to be more muscular (objective 1), one has to perform between 8-12 reps for one set, but using a heavy workout weights. For this to be realised for three consecutive sets, one has to take plenty of rest, normally between 2-3 minutes in between each set to rest the muscle. For objective 2, which is relevant to me, I usually perform one set from 12-15 reps, and using a set of weights which is not too heavy but not too light, rest for a while and the continue again to complete three consecutive sets. What does it mean by resting for a while? This is where HRM plays a great role in the strength workout. We usually refer the image below for cardio activity, but rarely refer this when it involves strength workout. In actual, HRM can assist us to ensure we have the correct rest time, before we continue with the second set. 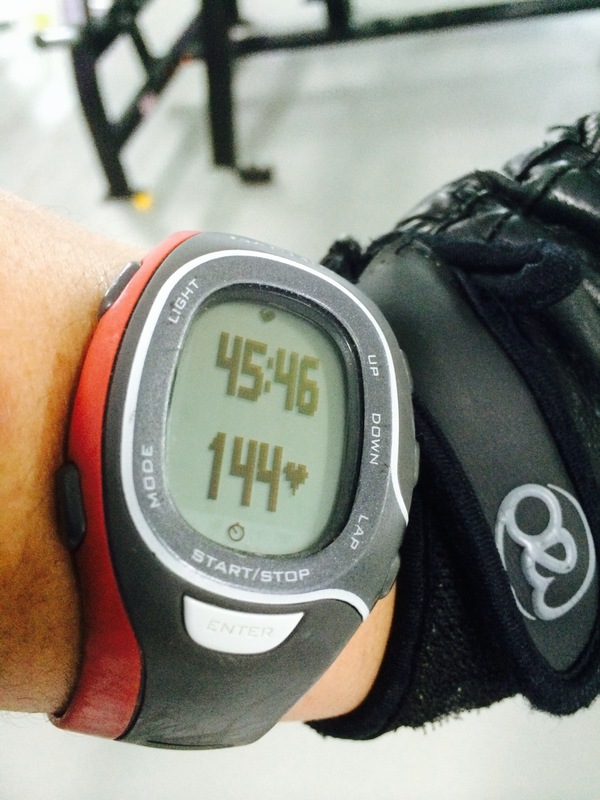 I used HRM to make sure that my weights that I lifted bring me up to the desired heart rate. If the heart rate is low, it indicates that I didn’t pump enough and the weight that I used or the number of reps is not sufficient. 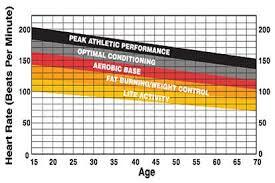 As for me, I’ll always make sure that my heart rate will be greater than 140 to achieve a peak performance of burning the fat. Over 160 bpm is too much for me (this depends on your weight and age by the way). I will also make sure, my rest time is sufficient enough if it falls between 120-130 bpm, and if it falls below than that, it means that I have an over resting period. Thus, it is time for me to hit the weight again. This is what I consider as high intensity interval training (HIIT) in strength workout, and yes within 40-50 minutes of workout (with 5 minutes warm up using cardio equipment), I can burn up to 550 – 570 kcals, which is great enough for me. I’ve been practicing this way of workout since the last two years, and it worked very well for me (except when there were few times I stumbled due to de-motivation and dealing with stress). If you’re interested to know more about this, Insha Allah I can share with you more. If you’re looking to lost weight, Insha Allah I’ll try my best to help, as I am also in this journey together. Lets do better, to fulfill the sunnah of our prophet SAW. This is the rest time.. to ensure optimum performance, I do not rest anymore after this (to ensure it did not fall below 120) and hit the weight again. Final outcome..average heart rate of 130, and maximum heart rate is 162 bpm. 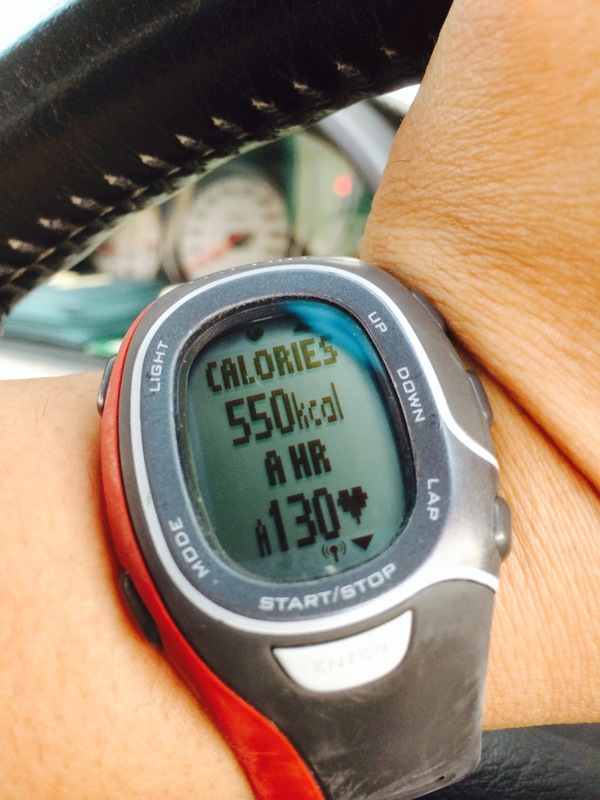 Total calories burnt is 550kcals in 48 minutes HIIT strength workout.